Can you even believe it? Another week where Thursday has suspiciously placed itself between the days of Wednesday and Friday. Like all Thursdays, this one means that the weekend is still many hours away—which is a total bummer. To quell your pre-Saturday blues, we've rounded up the best bottles of alcohol we were sent this week and splayed it out for you to consume like a delicious Thanksgiving platter. So sit back, relax, kick up your feet, kindly remove your socks, grab a glass, and pour. You deserve it and we're all very proud of you—for being you. This straight rye Old-Fashioned pays tribute to the good ol' days of drinking with its no-nonsense pre-prohibition recipe. This stuff is Raymond Chandler in a bottle with a sprinkling of Humphrey Bogart. Made with honey and air-dried navel oranges from Florida, this 84-proof rye is robust as hell and used to be administered by doctors to cure coughs and sore throats. Of course, doctors didn't really know what they were doing back then. From Goose Island, this stout is billed to be "as dark and dense as a black hole"—but we all know that such a statement can only be confirmed by Mr. Matthew McConaughey. A mix of charred oak, chocolate, vanilla, caramel, and smoke gives this 13.2% ABV stout a smorgasbord of flavors that dance on your tongue, just like how McConaughey danced in Magic Mike: with vigor. They've also got a Vanilla Rye Bourbon County Brand Stout and Bourbon County Brand Coffee Stout—DAYUM. I was approached by this booze delivery service, Ultra, for a challenge. They told me if they could get me a bottle of whiskey in one hour—and if I liked it—I would write it up. Well, 44 minutes later, this 42% ABV whiskey appeared on my desk. I popped it open and absolutely loved it. It's made entirely by hand—not by "computers or robots" as it explicitly says on the bottle, and you can taste the craftsmanship with each sip. 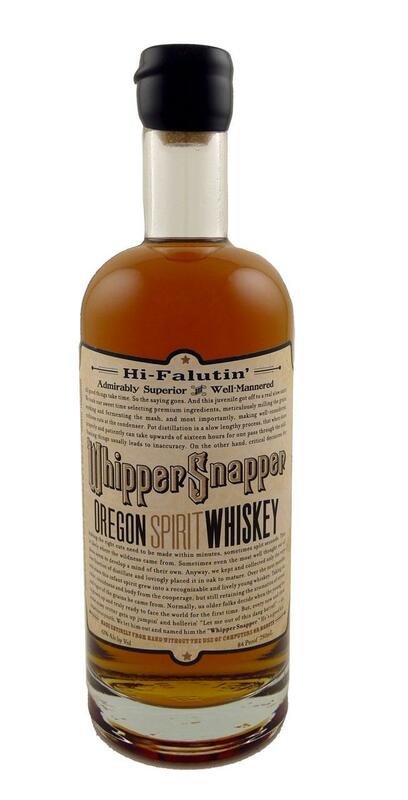 It's a hell of a tasty whiskey straight from Oregon...the only thing missing? A well-placed bird on the bottle. Sometimes an older bottle of booze makes such an impression on us that we feel compelled to bring it back—and that's what happened with Ancho Reyes. The recipe of this 40% ABV liqueur was conceived during Mexico's roaring '20s and still stands strong today. Hand-selected poblano chiles go through a six-month maceration process before they hit this bottle. It's sweet, spicy, punchy, and downright unusual. We can't get enough of it and highly recommend you get your hands on a bottle.